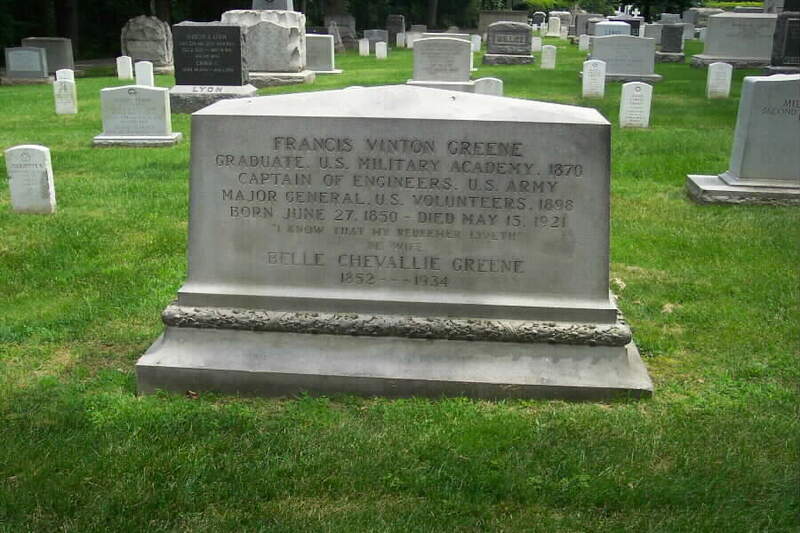 Francis Vinton Greene was born at Providence, Rhode Island, June 27, 1850. His parents were General George Sears and Martha (Dana) Greene. He was appointment from Washington, D.C. and graduated from the United States Military Academy in 1870. He married Belle Eugenie Chevallie, February 25, 1870. He served as Second Lieutenant, 4th United States Artillery, June 15, 1870. He was transferred to the Corps of Engineers, June 10, 1872. He was promoted to First Lieutenant January 13, 1874 and to Captain, February 20, 1883. He served on the International Commission for survey of northern boundary of the United States as Assistant astronomer and surveyor, 1872-76. He was on duty in the War Department, and as military attaché to U.S. Legation in St. Petersburg, 1877-79. With the Russian Army in Turkey, 1877-78. Present at battles of Schipka, Plevnia, Sophia, Phillipopolis and other minor engagements, receiving medals of St. Vladimir and St. Anne and campaign medal from Emperor of Russia. Afterward on US engineer duties. Engineer in charge of public works in Washington, D.C., 1879-85. Professor, practical military engineering, United States Military Academy, 1885. Resigned, December 31, 1886. Colonel, 7th New York Infantry, May 2, 1898. Brigadier General, US Volunteers, May 27, 1898, Major General, U.S.Vols, August 13, 1898. Commanded 2nd Division, 7th Army Corps at Jacksonville, Florida, Savannah, Georgia, and Havana, Cuba, October to December 1898. Resigned February 28, 1899. Chairman, Commission on Canals, New York, 1899. Delegate, Republican National Convention, Philadelphia, 1900. President, Republican Committee, NY, July-December 1900. New York City Police commissioner, January 1, 1903-04. 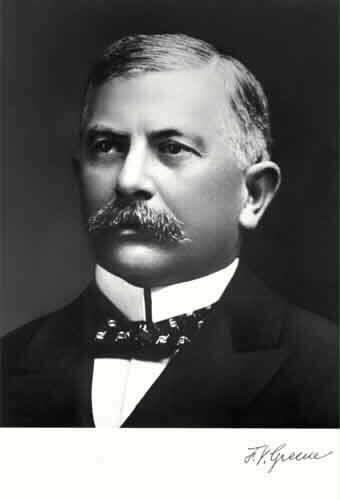 President, Niagara-Lockport and Ontario Power Co. Author: "The Russian Army and its Campaigns In Turkey," (2 volumes), 1879, "Army Life in Russia," 1881, "The Mississippi Campaigns of the Civil War," 1881, "Life of Nathaniel Greene, Major General in the Army of the Revolution," 1893, "The Revolutionary War and the Military Policy of the US," 1911, "The Present Military Situation in the US," 1915, "Our First Year in the Great War," 1918. He made his home in New York City and died there on May 13, 1921. 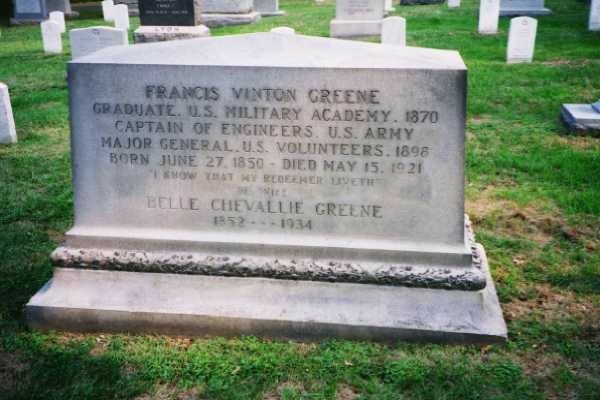 Both he and his wife, Belle Eugenie Chevaelie Greene (1852-1934) are buried in Section 1 of Arlington National Cemetery.